What you want when you want it at the right price. The merchandise on Piggly Wiggly shelves needs no salesmen. Walk in - pick it up - walk out. 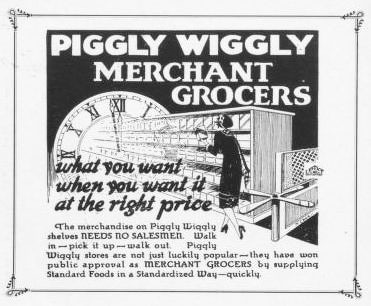 Piggly Wiggly stores are not just luckily popular - they have won public approval as Merchant Grocers by supplying Standard Food in a Standardized Way - quickly.